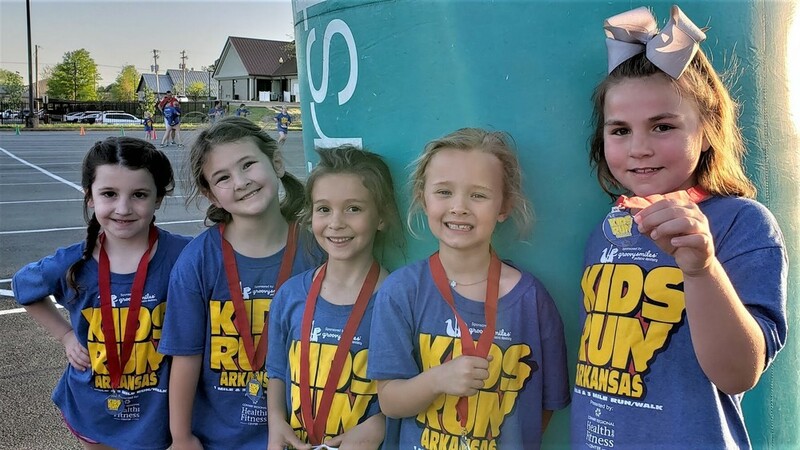 These five St. Joseph students are proud of their participation in the Kids Run Arkansas 1 Mile and 3 Mile Run/Walk held April 12 behind the Conway Regional Health and Fitness Center. Along with 288 others representing St. Joseph, our school won the event for the 10th consecutive year! The cash award we'll again receive is based on numbers of runners entered. Thanks to physical education teacher Karen Vandivere for organizing this event every year and bringing home the rewards that go with it.